The weekend starts here Peeps! Time for a faberoony new sketch over at Sketch Saturday and this week, we have a very generous prize from Pollycraft Designs. Don't you just love Pollycraft? Anyway, pop on over to get all the details and see the completely fab cards from the rest of the amazing DT. gorgeous card Faye...briliiant how you managed to make everything fit...even the border! !....have a wonderful weekend! wishing you better real soon, I know exactly what you mean, as soon as things are improving I dare not say it loud. 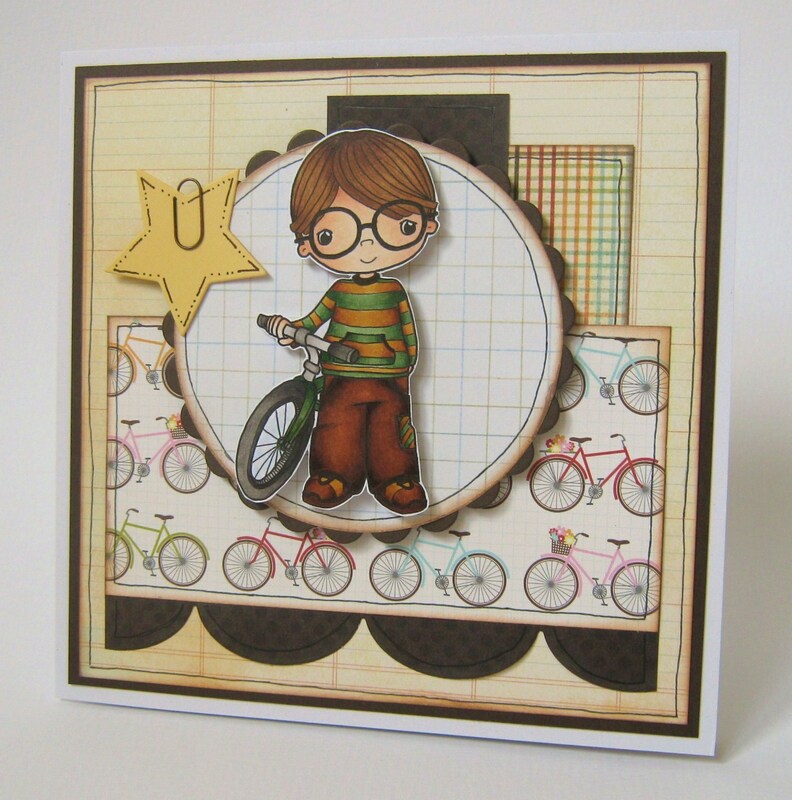 Your card is absolutely gorgeous, he is too cute and your colourwork stunning! 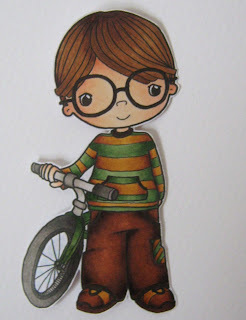 Hi sweetness awesome card I am loving this image he is lush may have to pop over to get him. Love the layout & the papers are lubberley lubberley. Hope you feel fluffier soon shug. Gorgeous card Faye, the papers are a perfect match for the adorable image. Not a button in sight so you must be feeling poorly! There is a nice muffin speeding up the motor way to help you feel better. Personal delivery by 'The Doc' Hugs from a distance Muver. WOW Faye...this is SUPER!!! Love your beautiful coloring and the card is fabulous. Perfect background paper too. So very nice. Fabulous card Faye, I love the image and the fab papers. Hi Fluffy...I left you an award on my blog! Gorgeous colouring as always Faye and beautifull co-ordinating papers! Oh he is just adorable!!! You've shaded him flawlessly as always and just adore that yummy paper!! It works fabulously with him and I love the star/paper clip embellie - the perfect touch! sorry you are still feeling poop hun, hope you get better soon. Love the image and the DP's are a perfect match. Too cute Faye! Love the bike paper! sweet image too! Sorry you still are not well. I have had a relapse too! I think it is feeling better and getting back into the daily routine too quick. I think we both need more crafting, less everything else. It is true, just what the Dr. ordered! Smashing card Faye what a super cute image love those big glasses, I can remember wearing a pair that size, lol. Great colouring, papers and design. Wow!! What colours did you use on this card, they look so great! Can't tell the papers are from different pads, they match perfectly!